​Cognitive behavioral therapy is a psychosocial intervention has been the most widely used evidence-based therapy used by psychiatrists, psychologists and counsellors. Guided by empirical research, CBT focuses on the development of personal coping strategies that target solving current problems and changing unhelpful patterns in cognitions (thinking), behaviours, and emotional regulation. It helps individuals identify unhelpful thoughts and behaviours and learn or relearn healthier skills and habits. CBT has been practised widely for more than 30 years and has been researched extensively. It has been repeatedly shown to be effective with a wide variety of emotional, psychological and psychiatric difficulties. For many problems such as anxiety and depression, CBT is as effective as medication and can also enhance the effects of medication. 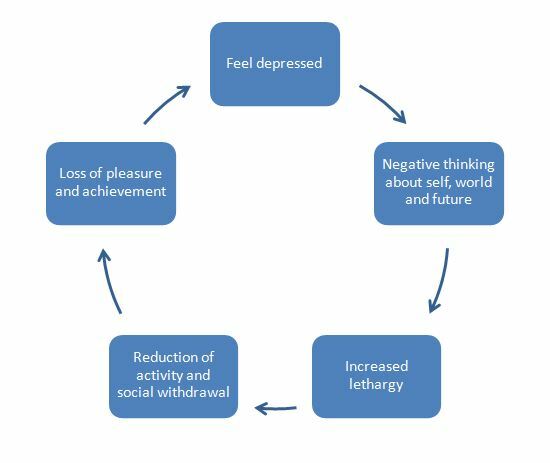 Studies have shown that CBT can significantly reduce symptoms of anxiety and depression for up to 80% of people. CBT examines all elements that maintain a problem, including our thoughts (cognitions), feelings, behaviour and the environment. It is a very structured therapy. You are fully involved in planning your treatment and the therapist will always let you know what is happening. CBT is a partnership. Usually you will have a thorough assessment in the first session or two. Each session will involve discussion, explanation and practice of skills and techniques. You will be required to practice those techniques in between sessions (’homework’). If you are looking for a practical method to resolve a specific problem and you are willing to be actively involved in your treatment, then CBT may be for you.